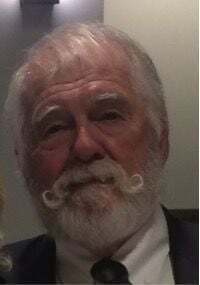 Donald Lester Morgan was born May 16, 1938 in Broad Top, Penn., and died suddenly in his home in Tehachapi, Calif., on March 31, 2019. He grew up in Mechanicsburg, Penn., and joined the Navy three days after graduation from high school. After his time in the Navy he went to Pratt Institute and majored in industrial design, although he always wanted to draw cartoons. As soon as he graduated he came out west to live with Mickey Mouse in Toonville. That began a career that lasted 42 years of drawing character designs and working in the animation industry. 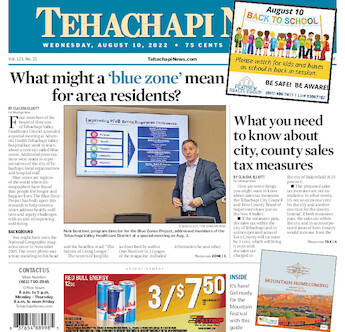 He moved to Tehachapi when he retired in 2003 with his wife, Maggie. He is survived by his wife, Maggie, his brother, Robert Morgan, and three children, Ethan Morgan, Megan Morgan, and Jedidiah Morgan, three stepchildren, three grandchildren, 10 step-grandchildren, and three great-grandchildren. He was Papa to all. His memorial service is Saturday, April 13 at 11 a.m. at Tehachapi Church of the Nazarene, 19016 Highline Road, Tehachapi, CA 93561.